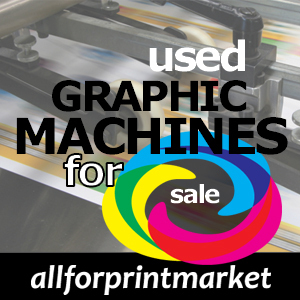 How you should sell printing products? There are some steps which should be followed when you want to sell printing products. Times change and we have to adapt to the new ideas and techniques. Your clients can always find an available list of offset printers and take the necessary information that helps them make the correct choice for their printing business. Your clients often look for solutions to their problems, not necessarily for products. So you should find a way to present them a list of offset printers, their special characteristics and deliver the most important information needed when they want to buy a certain type of equipment. Remember that offset printers are pretty expensive and your clients may want to invest a lot of money in them, so try to find the best selling techniques. Customers are always looking for new ways to increase revenue, to maximize profitability of their business and attract more and more customers. You must gather all the information you find about your potential customers so that you know, when you negociate the price of an offset printer, how to adapt your attitude towards each client that comes to you. You can take the information from different sources. The internet is a common place where you can find opinions, reviews, essential data about you clients and their past transactions. Don’t forget the most important social networks, because companies have their own accounts on them. We can mention here Google+, Facebook, LinkedIn and Twitter. A service like YouTube is also very useful and it has the advantage of giving you visual information. If your clients come from different countries and cultures, try to adapt to their customs and language and hire a translator if you don’t know their language. Statistics show that sales in this domain have decreased in the last years, so the competition in this domain is harsh. That’s why it is essential for you to know your clients better, to anticipate their needs and always find innovative solutions for them. When you talk to a new client you can ask what are the challenges he faces in his business and how he sees his best strategy to solve them. Offer your help and make him realize that the issues can be overcome with your help and using the solutions you provide as a business partner. If the discussion goes into a wrong direction try to avoid disagreement and focus on the problems on which you both agree. A good salesman always offers the necessary technical information to his clients but he must also be creative and explain them in a way that attracts peoples’ attention. Selling is a very complex field and those that are eager to be the best in their profession must know how to handle different situations very well. You should always think about the products you are selling and the people they are addressed to. Get to know their weaknesses and their strengths. This field is a dynamic one and it requires a lot of expertise and dedication.